How can you construct a financial investment strategy to protect yourself … yet still get the growth to ensure a solid financial future and comfortable retirement during these turbulent times? 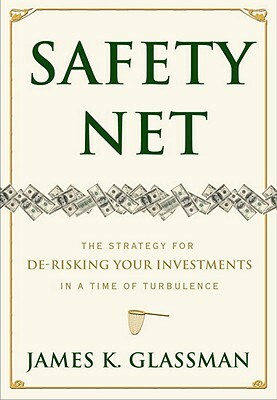 By building an investing safety net that gives you the gains needed for growth – though more modest than those of past years – but protection against the downside. So when turbulence strikes again – and it will – you won’t re-live the financial nightmares of recent years when portfolios and 401Ks were devastated. Reduce stock ownership. For those stocks you do own, ensure they meet one of these criteria: pay dividends; are low-priced and from industries of the future; or companies based in aspiring nations such as India, Brazil and China. Own funds based on other currencies, thus protecting yourself against the potential declining value of the US dollar. And the 5 principles and 18 specific rules of “the new rule book” help keep “animal spirits” in check when fads and news flashes provide the temptation to make rash investing decisions that will be quickly regretted. JAMES K. GLASSMAN has been writing about investing and the economy since the mid-1970s. From 1993 to 2004 he wrote a syndicated column on investing for the "Washington Post. "He was also the first investing columnist for "Reader's Digest "and now writes a monthly column for "Kiplinger's Personal""Finance." From 2008 to 2009 he was the U.S. Under Secretary of State for Public Diplomacy and Public Affairs and is currently executive director of the George W Bush Institute, the nonpartisan think tank affiliated with the George W Bush Presidential Center. Glassman is also the host of "Ideas in Action," broadcast over more than 100 public television stations. He is the author of two previous books, "Dow 36,000" and "The Secret Code of Superior Investor"; and his articles have appeared in many publications, including "The New York Tim"es and "The Wall Street Journal"